ENTRY FEE: $6.00 per animal. Payment is due with entry form and must be postmarked by July 7. There will be absolutely no substitutions after the July 7 Entry Deadline, including arrival day at the fair. NOTE: Entries MUST Be Mailed In / No Drop Offs! 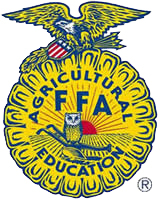 4-H and FFA Entries are limited to residents of Union County 4-H and the following FFA Chapters: Lewisburg, Mifflinburg and Milton. Animals must be of 100% American dairy breed bloodline (purebred or any combination of Holstein, Jersey, Guernsey, Ayrshire, Milking Shorthorn, Brown Swiss, or Red & White Holstein, Lineback, Dutch Belted), dehorned (or naturally polled), and castrated. The dairy beef feeder show will be open only to breeds that are recognized by the PA Junior Dairy Show. Dairy beef steers shall be free of infectious and transmissible diseases. Shipping fever shots required. See General Rules for other animal health rules and regulations. Animals must be owned, identified and tagged by March 15. Maximum of two animals may be tagged, and one can be shown. They must be castrated by March 15. Due to weight variances and weight limits, the number of weight classes will be set at the fair. When on exhibition in the ring, each animal must be under halter and in the charge of the owner or owner’s representative, and must be manageable. The Champion and Reserve Champion Dairy Beef Feeder Steers, along with 1st and 2nd Place in each class making weight, will be sold at the 4H/FFA Livestock Sale on Friday.All other Dairy Beef Feeder Steers will not be sold. Owners of the non-champion animals must take their animals home at the end of the fair or make other arrangements. Exhibitors showing a dairy beef are also permitted to show a market steer. Animals to be sold at the Livestock Sale must weigh between 400 to 800 lbs. at fair weigh-in. Calves should be born between Dec 1 and Jan.